I have been playing with ROS the last few days. After my first attempts with NXT (will post about it later) I ended up using my good ol’ Arduino for this task as well. You probably remember my post about Sonar Sensor SEN136b5. When I ordered it I ordered 3 more (2 for Árpád :)) so I decided to try reading the values of two sensors and publishing them into a ROS system. I came through more Arduino ROS components when browsing the ROS wiki so if you are not satisfied with my choice you can find (or write) one yourself. I used the rosserial stack, more concretely the rosserial_arduino package (Tutorials). After setting up the Arduino IDE and compiling the rosserial stack I moved to the examples to further analyze them. There is a tutorial for a sonar sensor the original team used. I used that code to write my own version of it. Since the sensor I used is PING))) compatible, the same read function can be applied so I pulled in one of my old functions I used created in a university project. I use one publisher for each of the sensors (so I have two) but only one message object for both of them. It’s not a big hack, just a little resource saving. i trying the same thing with other sensor but the second publisher gives nothing how you create the second publisher? 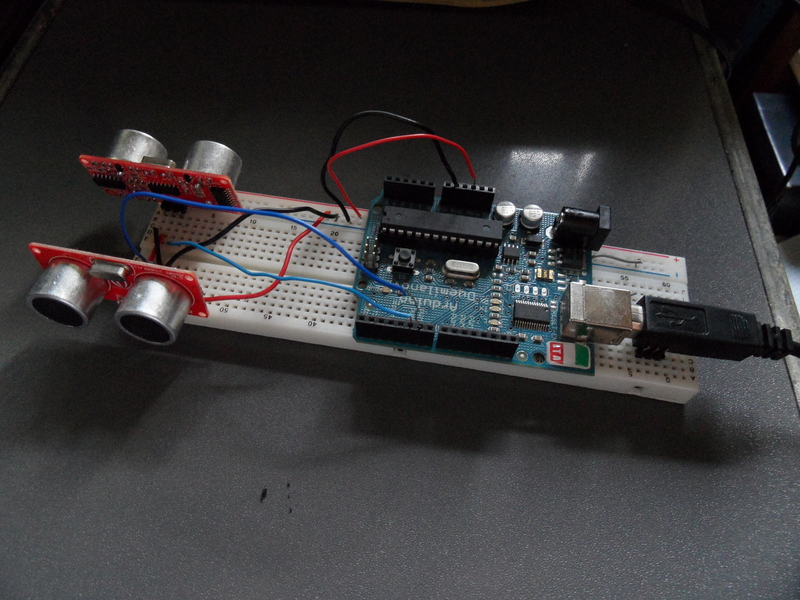 I’ve updated the blog post with the Arduino code. Good luck! I went thru the code, looks great. But how do I know which PINS to use for the PINGs ? Any digital pin will do by the way. LOL your right, I missed it. But I did figure it out. 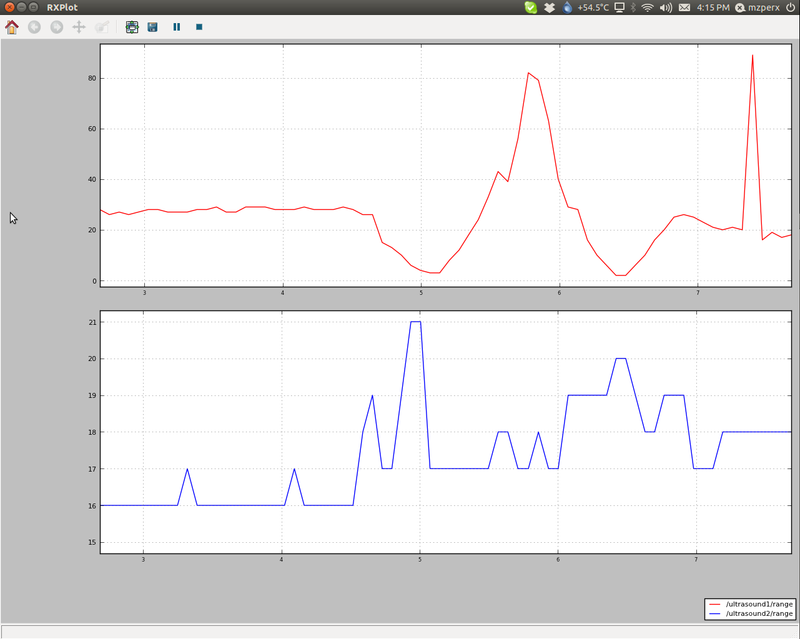 So how did you get the plots and graphs to run, I am new to ROS so still learning.